College of William and Mary: M. Ed. 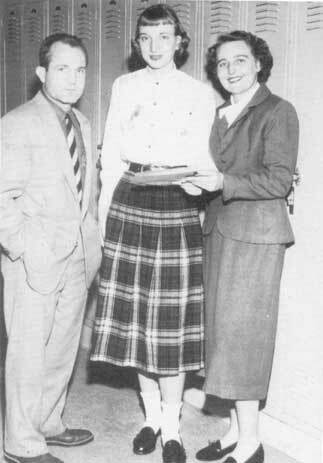 "The (Junior) class sponsors, Miss Lillian Seats and Mr. Pete Robinson, discuss with Mary Ann Weaver ('56), Ring Committee Head, the possibility of getting next year's class rings early." 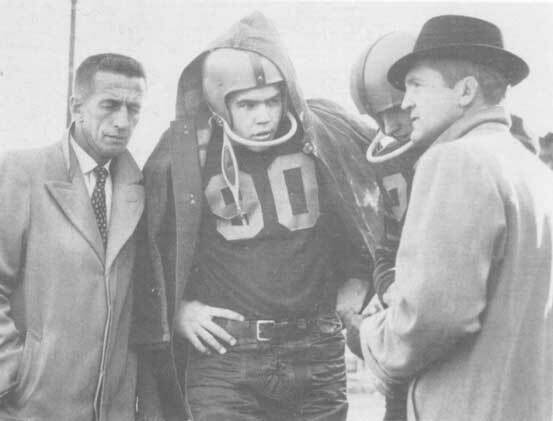 "Head Coach J. C. Range and Backfield Coach 'Pete' Robinson go over last minute strategy with fullback Don Hardy ('58) and halfback Woody Hudson ('57)." him a friend to us all. Through his time and effort as co-sponsor of our Junior class last year, our Junior year was a tremendous success. 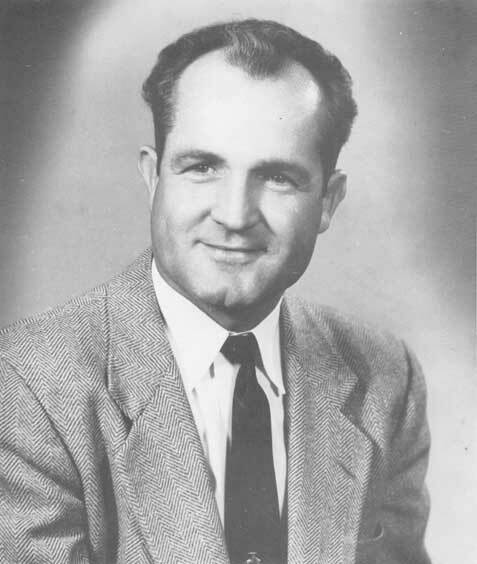 His willing spirit and friendly attitude are sincerely appreciated, and to the class of '56, Mr. Thomas M. Robinson, you are tops!" 1956 Anchor, p. 5 - "TO US, YOU'RE TOPS"
"...Led by medalist Bob Truitt, a well-balanced squad provided Coach Pete Robinson with one of the finest teams in his five years as golf coach at Old Dominion...This year's team should take up where last year's ended, and present Pete Robinson with another successful season. A fair warning is issued to all rivals. 'Beware of Pete's Pack.'" Front row: Coach Robinson, Kenny Grubbs, Bob Truitt, Jim Lydston. Back row: Terry Emerson, Tom Cotton, Glynn Rodgers. NORFOLK , VIRGINIA: Thomas M. "Pete" Robinson, 82, of the 1100 block of Cambridge Crescent, died December 23, 2003, in his residence. Mr. Robinson was a native of Greenwood, Mississippi, the son of the late William Northup and Lillian Shackelford Robinson. He has been a resident of Norfolk since 1957. He was a graduate of Newport News Shipbuilding Apprentice School; Springfield College, Springfield; Massachusetts; received a Master of Education Degree from The College of William and Mary; and was a Navy veteran of World War II serving in the Pacific area. 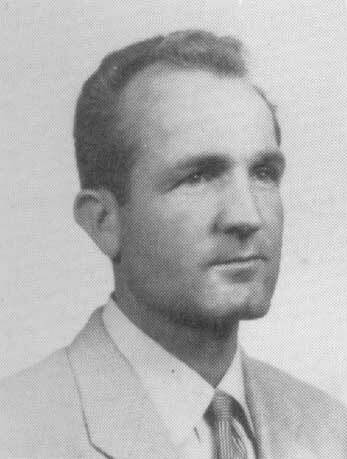 He taught at Newport News High School from 1951 to 1957. 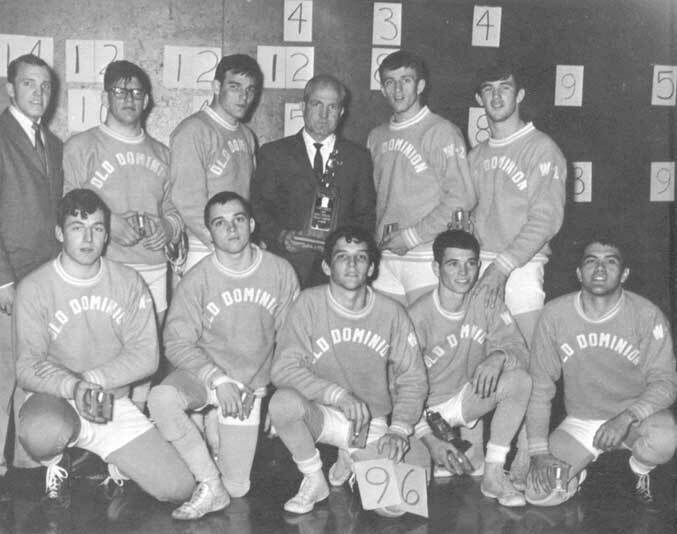 He retired in 1988 after 31 years from Old Dominion University as Professor of Health and Physical Education and started the highly successful ODU wrestling program, which he coached from 1957 to 1983. 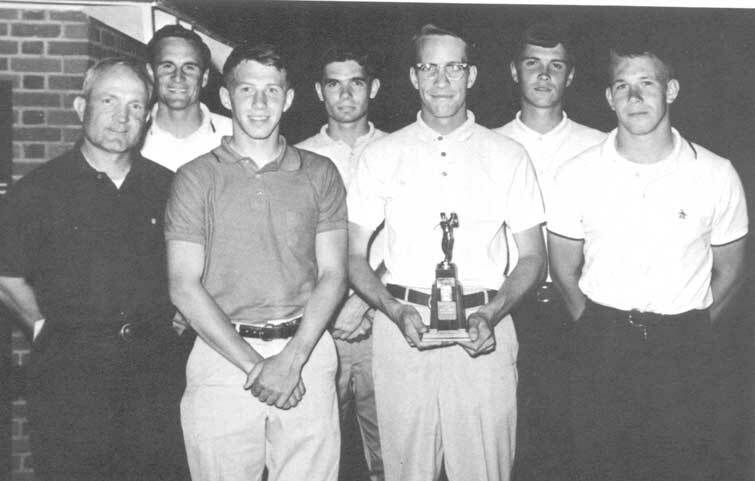 He was also the ODU golf coach for many years and was inducted into the ODU Sports Hall of Fame as well as the National Wrestling Hall of Fame for his lifetime achievement in coaching. 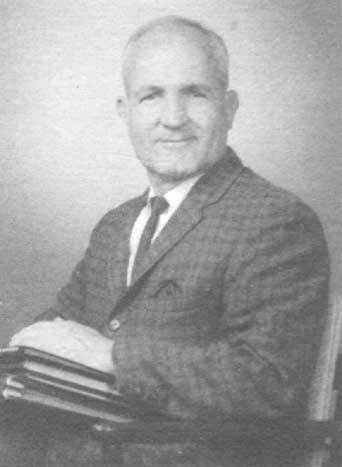 He was a member of the ODU Town and Gown, former president of the ODU Faculty Emeriti Association and the Freemason Street Baptist Men's Prayer Breakfast, long-time member of the Norfolk Sports Club “Table 14,” lifetime member of the National Health and Physical Education Association, several coaches associations, and received numerous awards for coaching achievement. Mr. Robinson was a member, Deacon Emeritus, Trustee, and former Sunday School teacher at Larchmont Baptist Church. He is an honorary alumnus of Old Dominion University and honorary member of the Peninsula Sports Club. Mr. Robinson is survived by his loving wife of 47 years, Wilma Salmon Robinson, and his daughters Evelyn S. Robinson of Norfolk and Ann Robinson Perez and her husband Alan of Atlanta, Georgia; his son Thomas M. "Bill" Robinson and his wife Carol of Virginia Beach; and his sister Virginia Robinson Navey of Charlotte, North Carolina; four grandchildren, Kathryn and Caroline Robinson, and Spencer and Andrew Perez. Funeral Services will be held at 11 a.m. on Tuesday, December 30, 2003, in Larchmont Baptist Church (1127 Surrey Crescent, Norfolk, 757-440-1574) by the Reverend A. Kenneth Carlton, Jr., and the Reverend John C. Dean. Interment will be in Forest Lawn Cemetery. The family will receive friends at H. D. Oliver Funeral Apts., Norfolk chapel (1501 Colonial Avenue, Norfolk, VA 23517 – 757-622-7353), Monday evening from 7 p.m. to 8 p.m. Memorial donations may be made to the Palmer Home, Box 746, Columbus, Mississippi 39703-0746; ODU Wrestling; Larchmont Baptist Church; or the charity of the donor’s choice. buddies and I agreed that this was a "perfect match", if there was ever one. We were right! Indeed you were! Thanks, Joe!